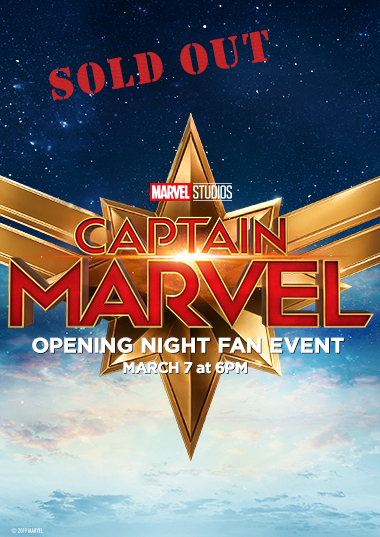 Be among the first to see Marvel Studios’ CAPTAIN MARVEL! Live DJ, Fun & Surprises! $35 per person. Each guest will receive a reserved seat, popcorn in a souvenir tub with one refill, a 20 oz. bottled drink and a limited-edition Captain Marvel themed embroidered patch! Plus, come in your best 90’s attire!